Our amazing YW Secretary, Karen, needed a quick and easy way to create a monthly Young Women’s newsletter for our ward bulletin. 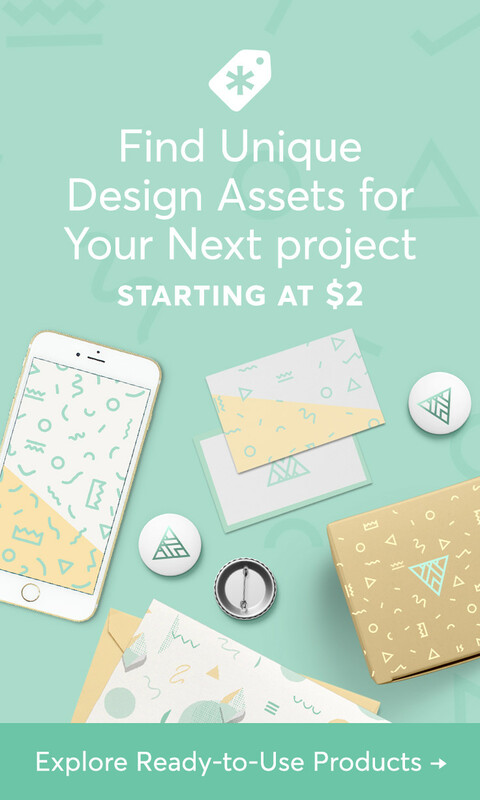 To make this task fun for her, I decided that an editable and saveable PDF was the answer and am sharing it with you! 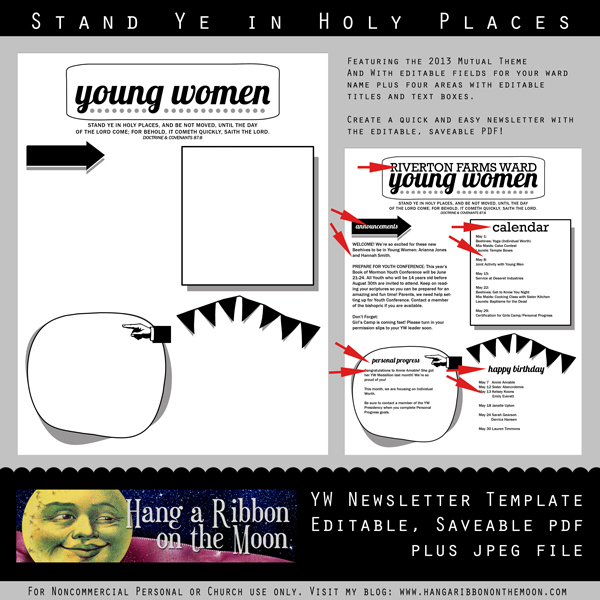 With my 2013 YW Newsletter Template PDF, you can build a newsletter or announcement sheet for your girls in just minutes. I’ve done all the designing, all you need to do is enter your ward/stake name and fill in the text titles and text. In my download, I’ve included an editable, saveable PDF file of the the template–simply add your info in Adobe Reader–PLUS a high-quality JPG file, which you can customize in Word, Photoshop, Photoshop Elements or other software. You can download Adobe Reader for free here. NOTE: I highly recommend you UNCHECK the “Yes, Install McAfee Security Scan Plus” box before downl0ading. Open Adobe Reader. If you don’t have this program, download it here and install it. The newsletter template is on page 2 of the file. Page down and fill in the text boxes provided. There is a text box at the top for your ward/stake name. In addition, there are four areas for titles and text. Fonts are preselected for you and will size automatically. 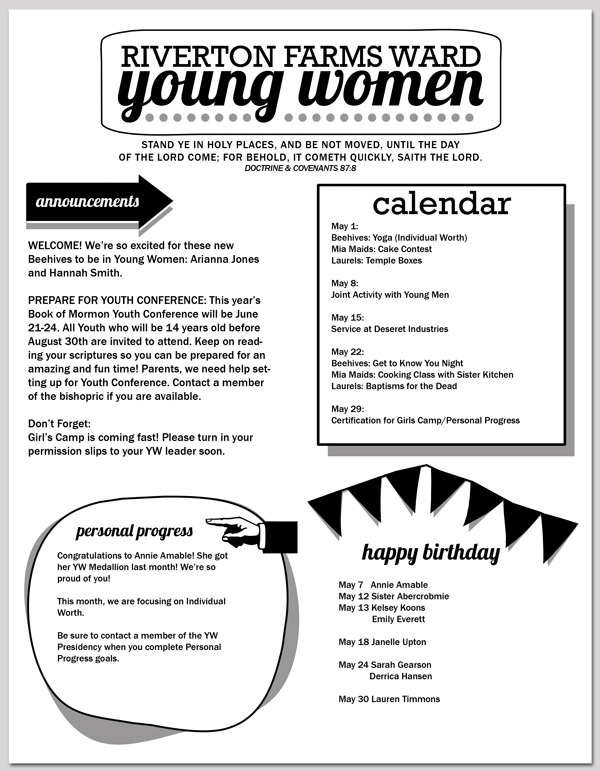 Download my 2013 YW Newsletter Template Here. Thanks so much for visiting my blog. You all are amazing! Thank you so much for this! 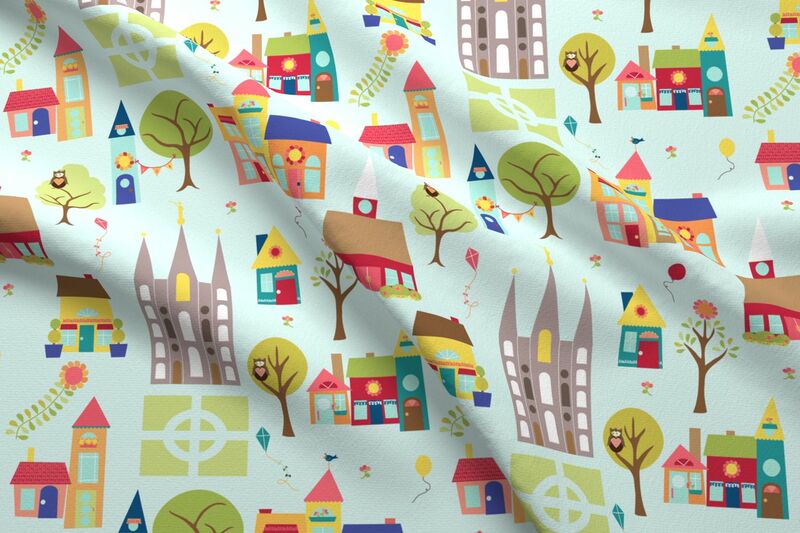 I am a totally dummy when it comes to designing. This is so helpful. How do you “unzip” a file? Thank you for this template it will work great. First time for me to do a Ward Newletter and I would love to figure out a standard template. I will admit I am not very much of a tech-e! Just wondered if you have any Ward newsletters templates in your repertoire? Or if you can point me in the right direction! I’m sorry, but I don’t have any ward newsletters.